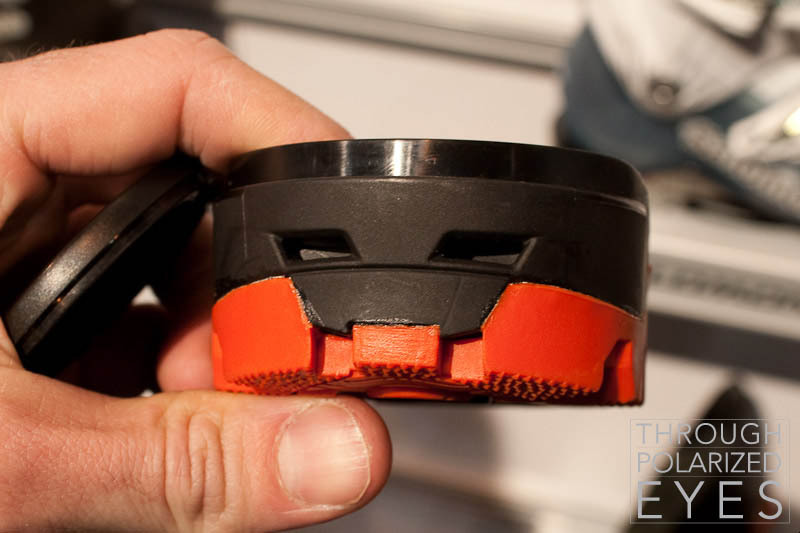 I’m going to start off today’s post with one of the more disappointing things I saw at the show, the toe and heel blocks for the Salomon Quest AT boots. For those not in the know, Salomon shipped boots that don’t appear to have been adequately engineered. The tech-fittings were woefully weak, self-destructing with only a little bit of force applied through the binding (one of their early adopters is potentially crippled for life as a result of this), and there are reports of buckles and walk-modes exploding. They pulled units with the tech fittings from the market, and I’ve been wondering what the status was on them. 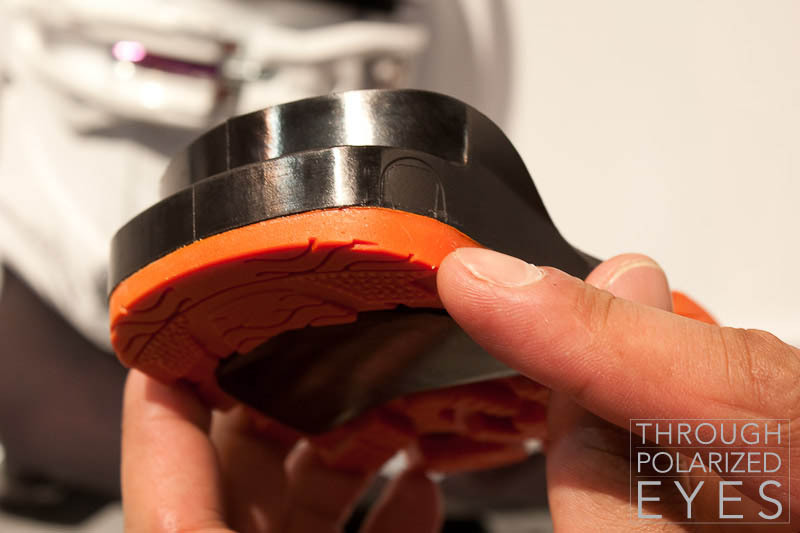 It appears their solution – rather than going back to the drawing board and properly engineering their product – is to fill up the hole with plastic, and put out a boot with substantially-reduced functionality than what they promised. 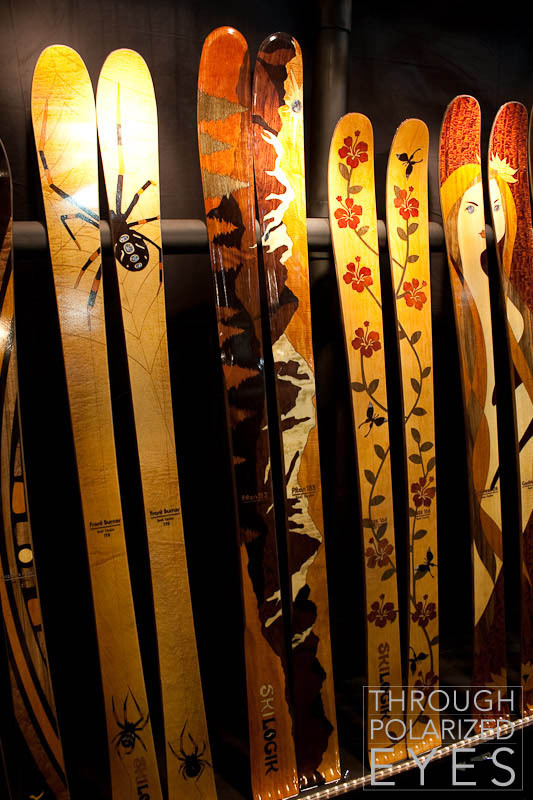 On the complete opposite end of the spectrum is Ski Logik, makers of absolutely gorgeous skis that, by all reports, ski remarkably well. They’ve been supportive of Friends of Berthoud Pass as well, which is a big selling-point for me. 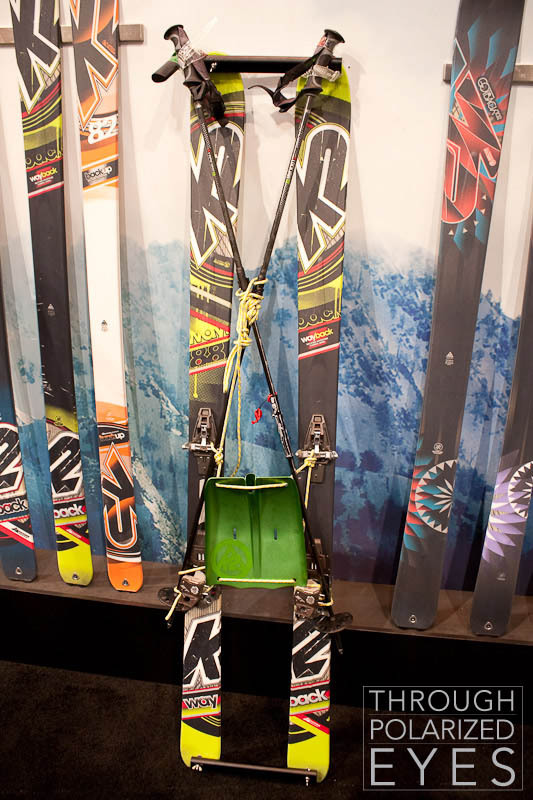 The only thing holding me back was the weight of their skis, but they’ve got a model for 2011 that changes that. The Piton comes in a 175 and 183, each with a 94mm waist and 19m turn radius. Icelantic comes back this year with a few tweaks, and a new line of art. This year’s theme is “you are an animal,” and I’m a much bigger fan of the topsheets for this year than last. 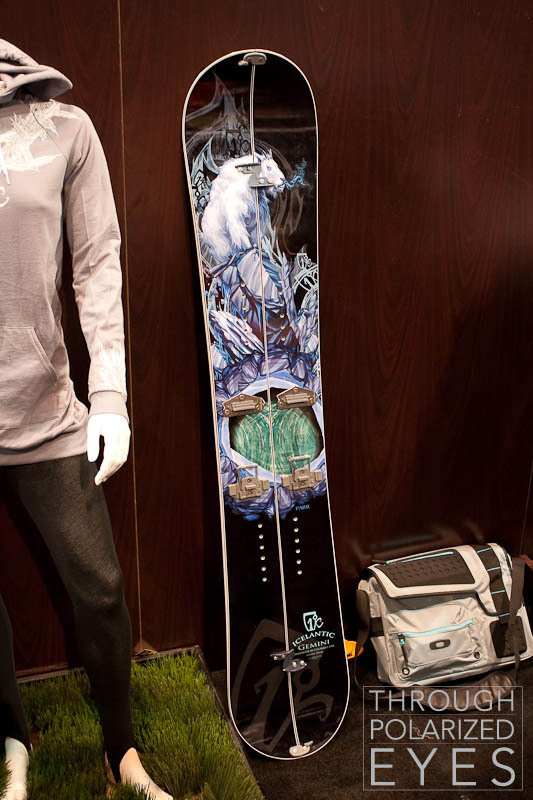 They’re also taking advantage of pressing in the Never Summer factory by introducing a splitboard this year. The DPS lineup remains the same for 2012, though they have a very interesting concept called the Spoon 150. It starts as a Lotus 138, adds 12mm at the waist, the base is made convex (like a spoon), and a couple 3-dimensional “cleats” are added to give stopping-ability. I’m intrigued, and hope I get a chance to try one once they make it to production. K2’s line is pretty similar. The Obsethed dimensions are the same though it feels softer ( can’t confirm that for sure) and the BackSide line hasn’t changed much, but they’ve got a new accessory line with a shovel (featuring hoe-mode), a probe, skins, and poles. Apparently the shovel can be used along with some wing-nuts, poles, ski straps, cord, and a pair of K2 BackSide skis to easily fashion a rescue sled. 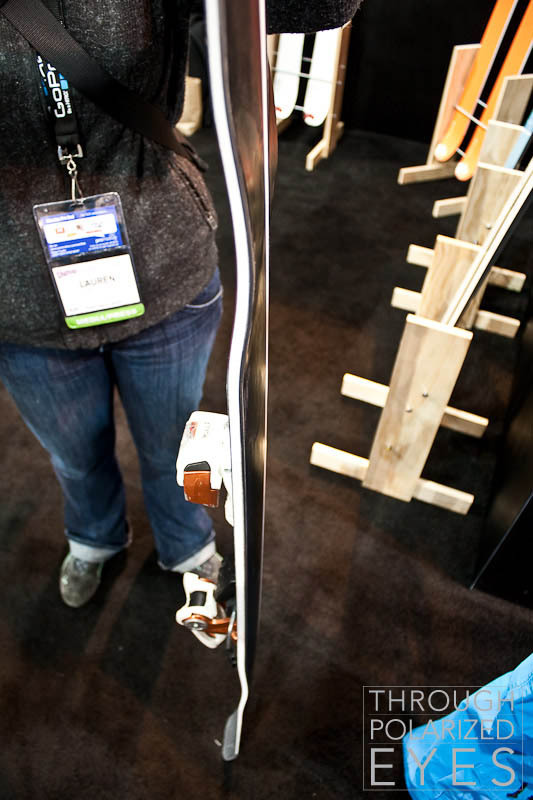 This isn’t a new concept, but the holes in the tips and tails of K2’s skis are especially useful for this. 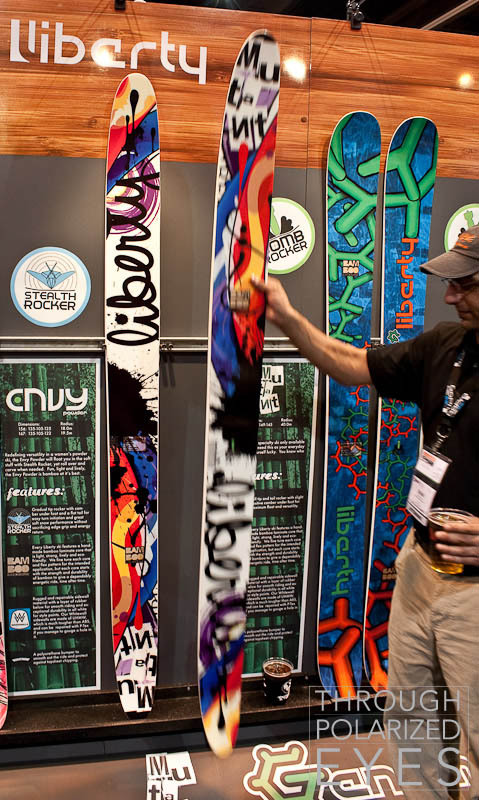 I’m closing out today’s post with offerings from a Colorado company, Liberty Skis. They have a combination carbon fiber/bamboo ski pole that is almost weightless, practically indestructible, and just a little bit flexy. It caught my eye, and I will be getting a pair. Their ski line is pretty similar to this year’s, with some added rocker. 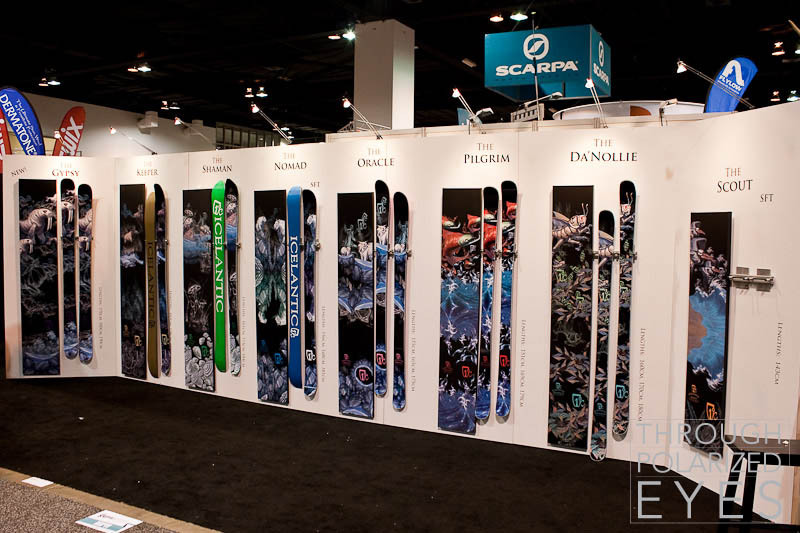 They’re adding an absurdly huge ski called the Mutant, a 192cm ski with dimensions of 160-149-145. For comparison, monoskis tend to be in the 170-180mm range underfoot. I have to demo this ski. Tomorrow will conclude my impressions from the Snow Show, with some demo reviews later in the week (if I can brave Tuesday’s forecasted bitter cold – it’s going to be around -10F all day).